Just print LEI EE’S pics in some insignificant corner that you normally do. No story needed unless you guys want froggy Ib Ali to do the story or give this opportunity to some of your up-and-coming cyber flies. It’s your choice. On Thursday 26 April, Old Blue Eyes aka Shar, Old Fart aka Bill Arul and I paid our respects to SB Loy at the National Press Club before going into Dataran Merdeka to lend solidarity with the Occupy Dataran Merdeka and Anti-PTPTN students. No tents were pitched as all 61 were confiscated. The students had put up their sleeping mats in two separate groups on the padang and some were already sound asleep. I wrote about this briefly on my Wall. I have been at this since Bukit Gantang days and the last one was at the Sibu state elections. I did not do it at Bersih 2.0 so that I could defy the ban on me together with the 90 others from entering KL for Bersih 2.00. 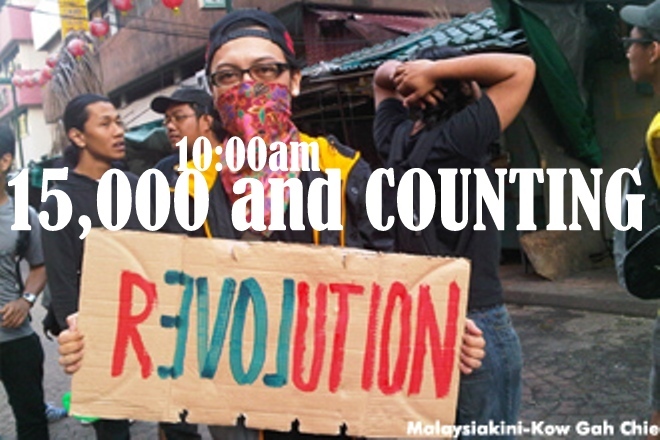 I immediately gave Said an answer, “Yes, I will do it on Saturday morning.” On Friday morning Virgin called to say, “Uncle B, I have booked a room for you from today on.” I told the Virgin that I am free to move around and Bersih 3.0 was not an illegal gathering and that I was going live on Saturday morning with the help of Doreen Van Nadaraj, Stephen aka Shanghai Fish HERE. 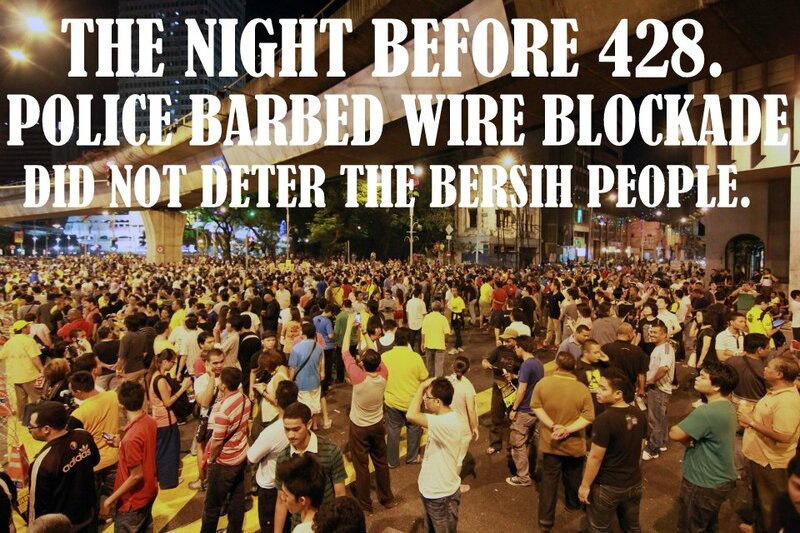 On Friday night Kam K, the mayor of Jl Changkat showed me how locked down Dataran Merdeka was….blocks, metal barriers and BARBWIRES….just as Flyer168 had smsed me earlier…..but there were thousands in festive mood. 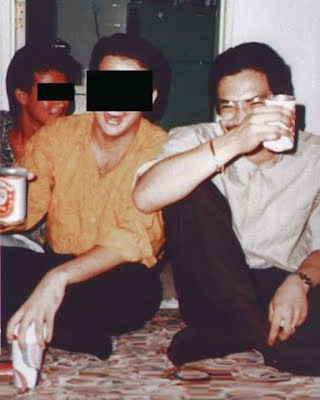 TODAY I offer you two threads, one by Abdul Haleem, a Malaysian in Singapore whom I featured recently HERE and Donplaypuks whom I have featured a couple of times under my Friday Guest Blogger. BERSIH 3.0 and everything else which was not so “Bersih”. TORMENTED? IF YOU CANNOT HANDLE YOUR DRINKS, SHUT UP! 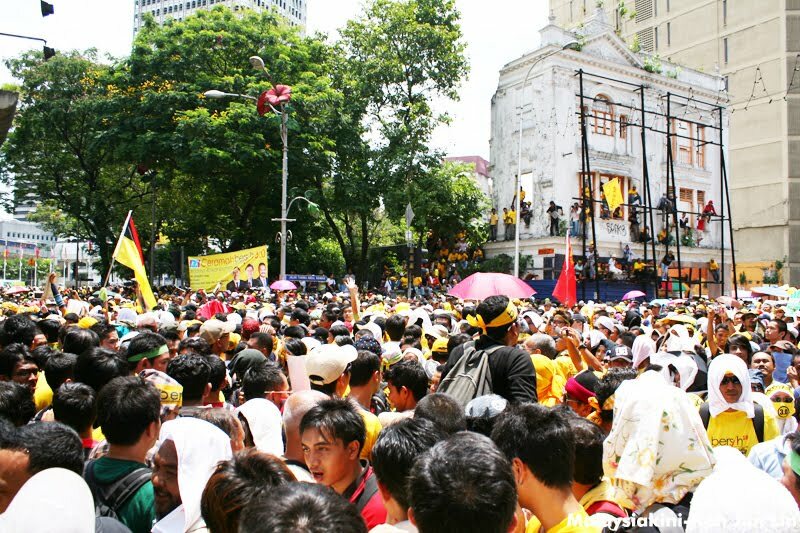 The police have dealt with rowdy illegal protesters professionally despite provocations, said Home Minister Hishammuddin Hussein. 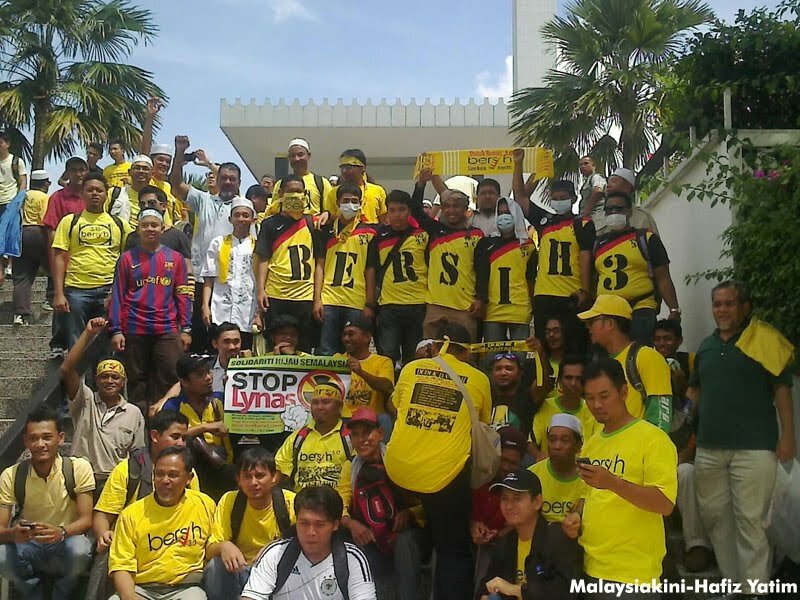 HE SAID THAT BERSIH 3.0 WAS NOT A SECURITY RISK, SO WHY WAS IT ILLEGAL? No wonder his teachers at St. Johns volunteered that he was pretty daft and on the borderline of DUMB. He commended the police for being unfazed despite being tormented by about 20,000 protesters. HOW CAN ONE COMMEND IF ONE HAS NOT SEEN HOW HIS men WERE TORMENTED? 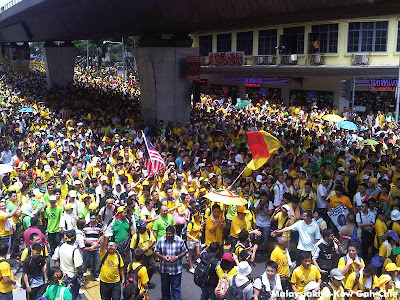 HERE IS HOW YOUR men TORMENTED THIS MALAYSIAN. 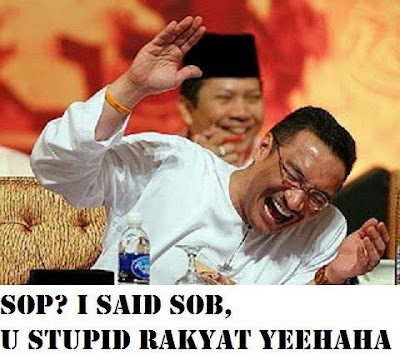 The PM allegedly whispered ‘I apologise for what has happened’ in the ear of the reporter injured at yesterday’s Bersih rally. It is always easier to say sorry after the fact. 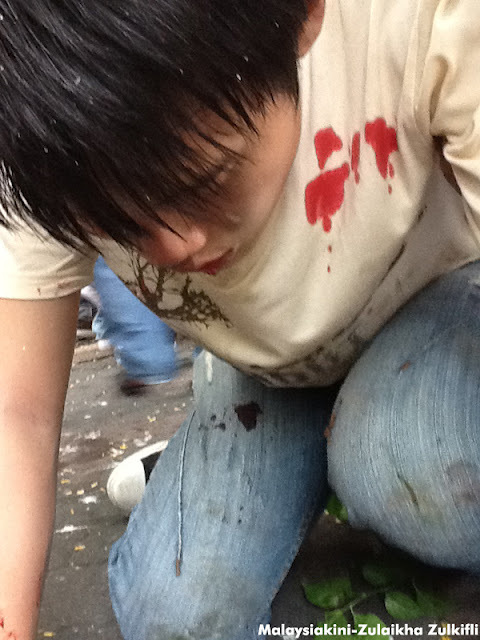 Do something about the brutality! Do something about your cousin. 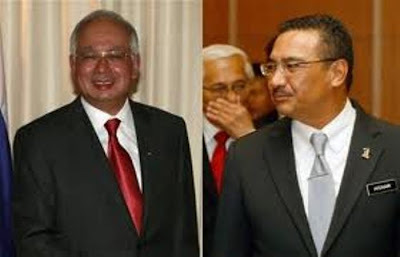 According to the Sun reporter, Radzi, Najib has said, "I apologise for what has happened." Najib was seen whispering to Radzi when he paid the injured reporter a visit at Hospital Kuala Lumpur earlier today. Thanks Najib. But what if your cousin still hangs around and mess up your transformation initiatives? Its doublespeak then ! His cousin Hisham said: I am saddened over what had happened today, the organisers had promised that the demonstration would be a peaceful one, but it turned unruly although the government had given its best to allow them to gather peacefully. 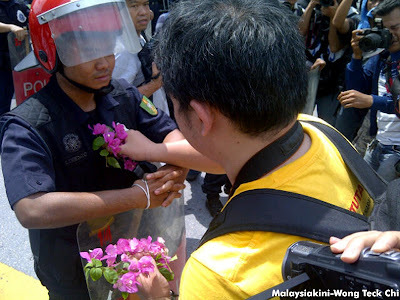 Hoi pundak, is this part of Traffic Cops SOP.